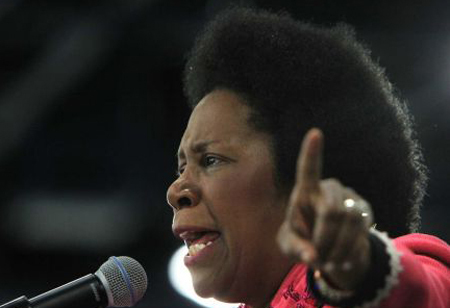 Texas Congresswoman Sheila Jackson Lee came under fire recently after it was reported that she boarded a United Airlines flight without a ticket, which caused the airline to bump a first-class passenger to economy. The airline then lied to this customer, saying that she had cancelled her reservation on the app provided by the company, but a cursory search of her most recent reservations quickly proved that to be false. Jean-Marie Simon is rejecting the idea that elected officials should be allowed to walk all over taxpayers and she’s refusing to shut up about the incident. After having Jackson Lee infer that she was a racist for bringing this to attention, Simon is more dedicated to the fight than ever. Simon refused the label of “racist” and stated that she had no idea who had taken her seat. Skin color isn’t the issue here, entitlement is. Following the incident’s publication on social media, Jackson Lee gave the least apologetic apology I’ve ever seen. This is like one of those passive-aggressive statements you make when you want to throw shade at someone without tagging them directly. So, it’s “not any fault” of hers that she decided to take a flight without having bought a ticket? It’s “not any fault” that she does this “regularly” according to reports? You can’t hide behind the race card your whole life, Sheila. Simon isn’t about to let Jackson Lee or United off the hook in dealing with this travesty of customer service. To lie directly to a paying customer’s face and tell her that she cancelled her reservation just so they could give her seat to a politician who will cry “racism” if they don’t is just abhorrent.